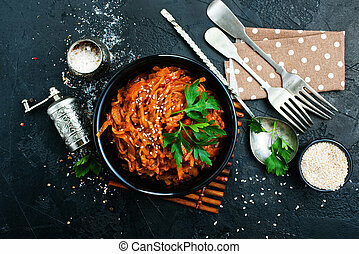 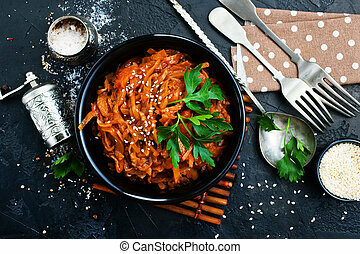 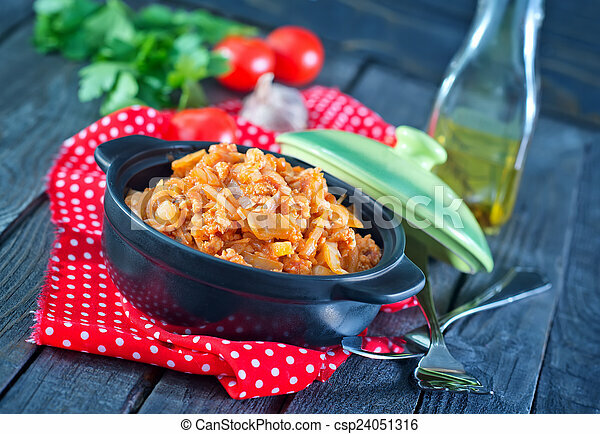 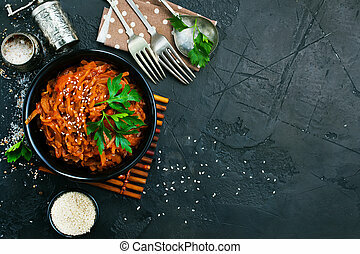 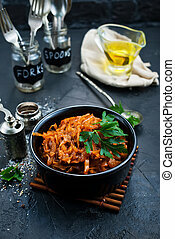 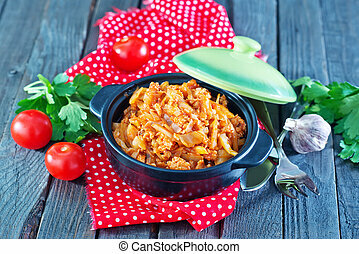 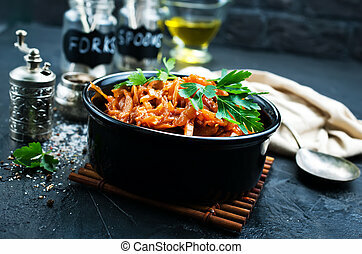 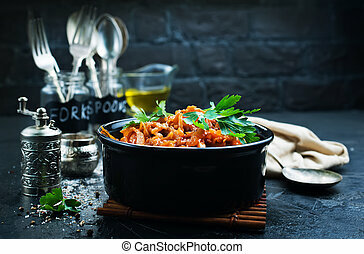 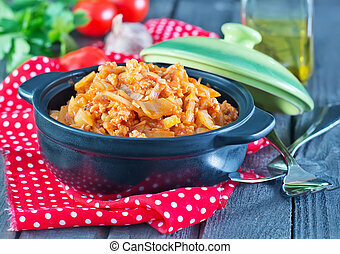 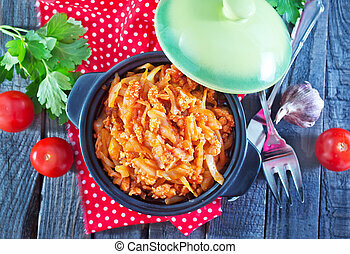 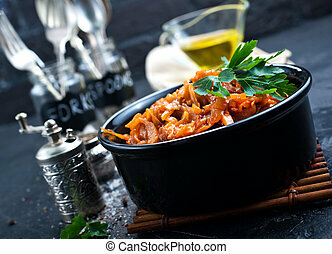 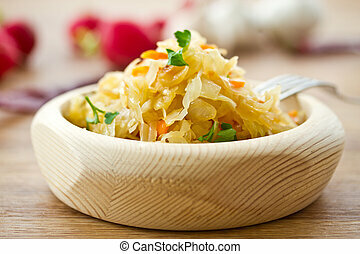 Braised cabbage in bowl and on a table. 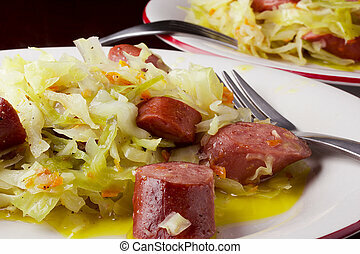 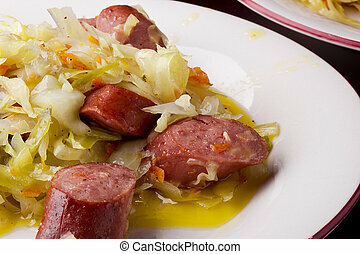 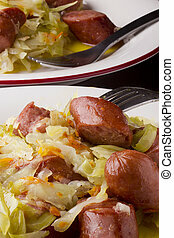 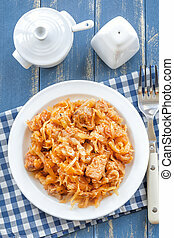 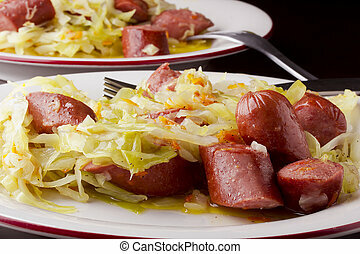 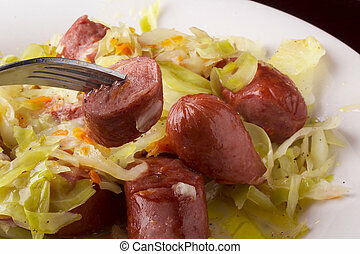 Braised cabbage with sausages for supper. 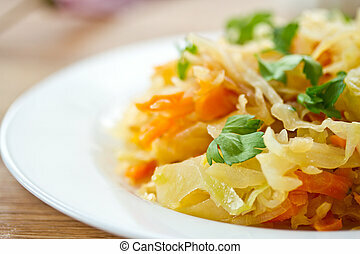 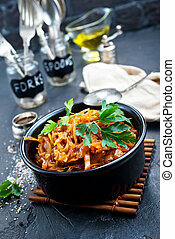 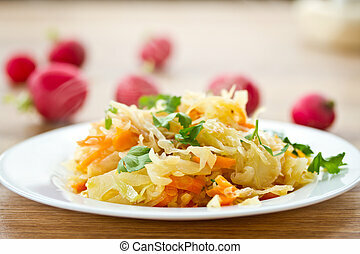 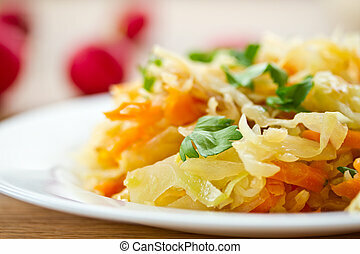 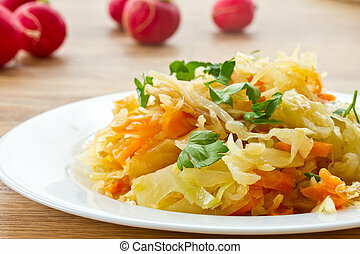 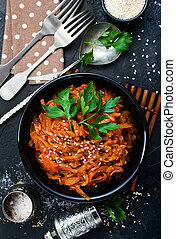 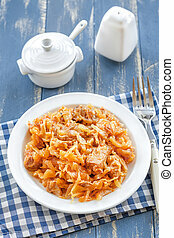 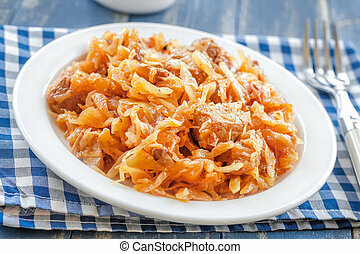 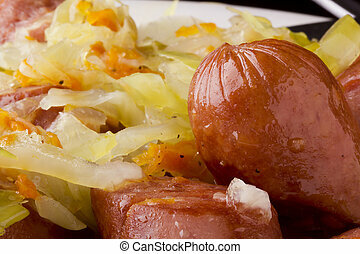 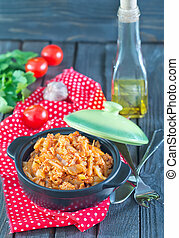 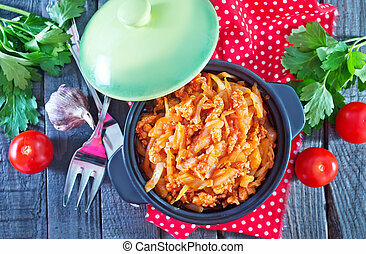 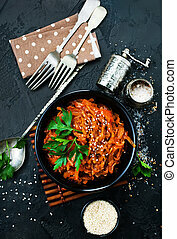 Braised cabbage with sliced ? 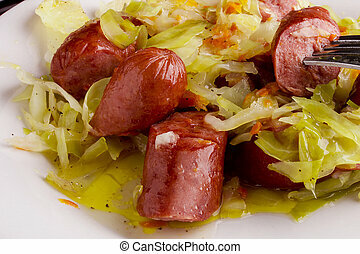 ?pieces of sausage.